MoGo is committed to creating equitable, sustainable mobility options for Detroit using an inclusive approach and innovative design. MoGo provides an active transit system of on-demand bikes to serve a wide range of people and needs. 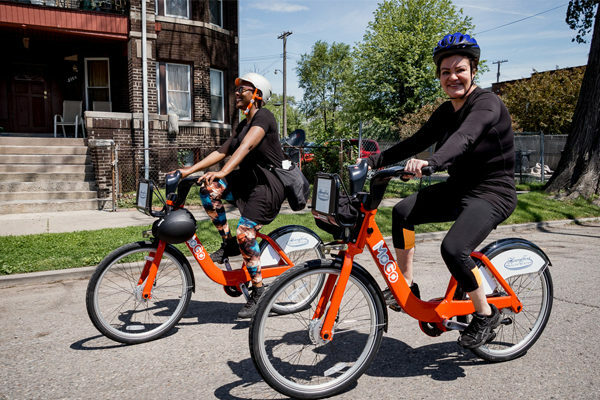 Our vision is to be the nation’s best-in-class bike share program and a catalyst in making Detroit a leader in mobility. 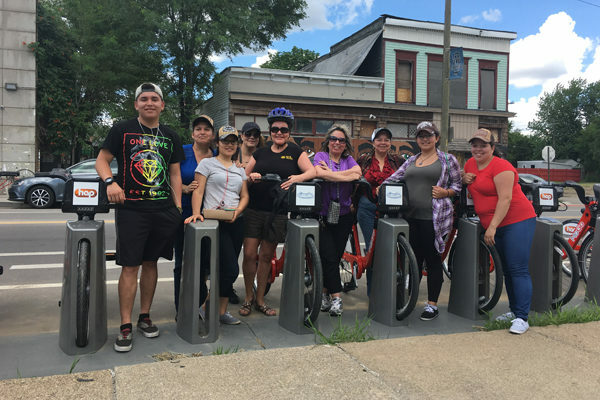 MoGo’s adaptive bike share pilot will help serve the mobility needs of people of all abilities by adding handcycles, tricycles, tandems and recumbent cycles to our fleet. 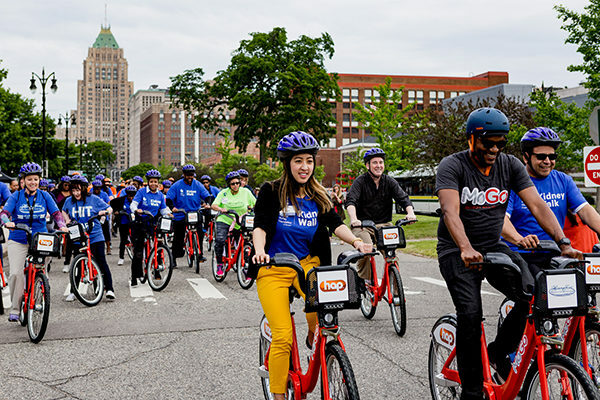 The foundation of MoGo’s bike share service is built on creating equitable, accessible transportation options for all, which directly aligns with the vision of the Detroit City of Design initiative. Through efforts such as engaging community members in the design and operation of MoGo, locating stations in areas under-served by transit, providing affordable pass and payment options, connecting with community members through neighborhood and youth ambassadors, and launching an adaptive bike share pilot in Spring 2018 to serve people with special needs, MoGo is focused on equitable and sustainable mobility options for people in Detroit.